From rescue puppy to Hollywood sensation with his own book and a massive Instagram following, Tuna the Chiweenie is one inspirational pooch. To celebrate the launch of his new book, Tuna Melts My Heart, Tuna is joining the Marie Claire team at MC HQ today to take over the Marie Claire Instagram account. Tuna’s owner Courtney Dasher rescued him at a farmers market in LA four years ago when he was just a puppy. His overbite, recessed lower jawline and wrinkly neck made him something of an underdog, although his cartoonish looks have since turned him into a viral sensation (Courtney thinks he has an uncanny resemblance to The Simpson’s Monty Burns). Courtney started charting Tuna’s exploits on Instagram in 2012 and he now has a whopping 1.3 million followers on his account @tunameltsmyheart. Courtney gives Tuna’s fans a daily behind-the-scenes look at Tuna’s life, from dressing up in bow ties to playing with toys and snoozing after a long day. His new book shows the heartwarming bond between Courtney and Tuna and is full of adorable snaps of the pup. Tuna’s Marie Claire Instagram takeover is happening today for one day only so don’t miss out on his adorable, exclusive posts. We can’t wait to see what he gets up to! Make sure you follow us @marieclaireuk to catch his updates throughout the day. 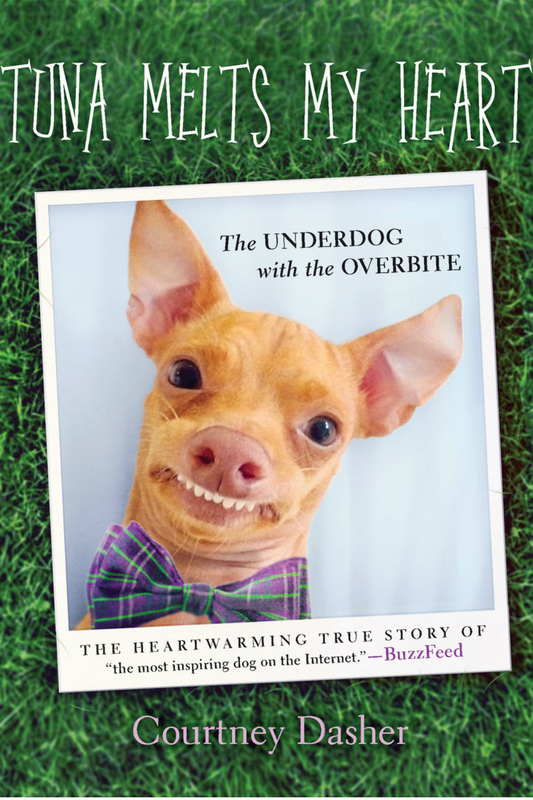 Tuna Melts My Heart, The Underdog With The Overbite (Blink Publishing) is out Thursday 4 June.